One of the most famous games in the history, Final Fantasy is makes its ways to Android devices with improved visual appeal. 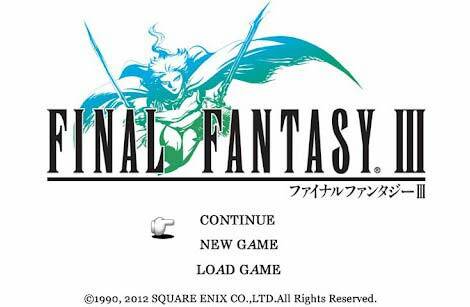 At this moment you can download Final Fantasy III from Google Play store, but the price must disappoint you. Its $17.58 only! After more than a year of being available on iOS, the Final Fantasy III port is of the updated 2006 version which features full 3D graphics. Fans who have been waiting for an Android version of the game were further teased by developer Square Enix as a Japanese-only version was released back in March. But the new English version is now come home. And it is compatible with Android 2.2 froyo and higher devices. So there is no problem with the compatibility. The new English language version of the game is available for devices running Android 2.2 and higher, which might bode well for users on older devices. Interested one can go to Google Play store now see what you childhood favorite game offers.